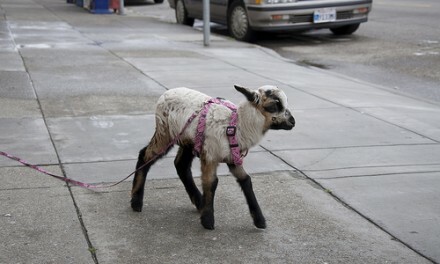 How do I get myself talked into these things? My mother’s stable in Lake County was thinking of putting on a rodeo-like event. The goal was to show the greater community, even those who didn’t keep horses at the stables, that the facility was a great asset to the area. I was drafted to MC the Hobby Horse Races. It was only on the morning of the event that I discovered I was penciled in to announce ALL the events. 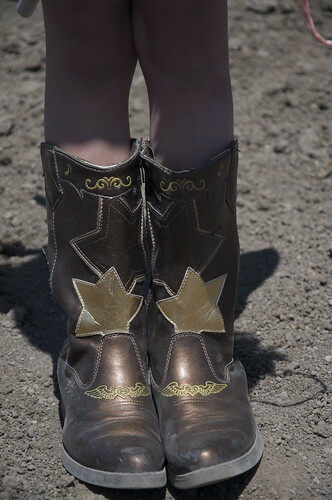 Well, there’s nothing to do on these occasions, but Cowgirl UP. I’m glad I did. Horse-O-Rama was a blast. 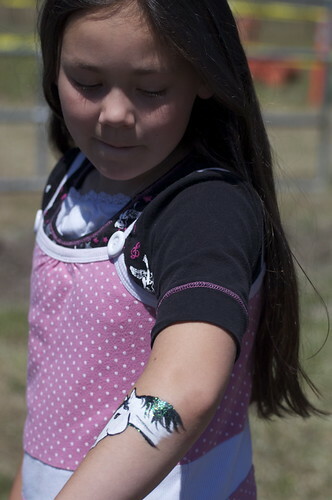 In fact, for an event planned by less than half a dozen busy horse owners, it was a smash hit. At times, the place was like a three ring circus: there were always several acts happening all at once. And announcing the main one was yours truly. 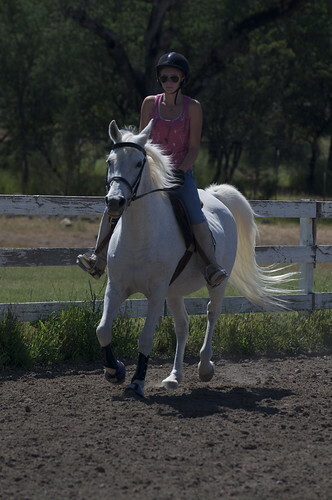 At 11:30, Kimberly, riding Savannah, demonstrated English-style jumping. I should mention that Kimberly aspires to be an Olympic Equestrian Team member. I now have full bragging rights to say I saw her when. 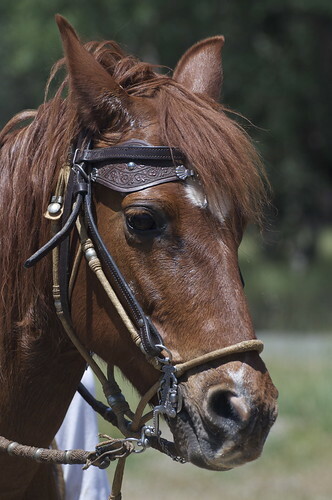 Only 13-1/2 years old, Kimberly has her sights on a spot on the Olympic Equestrian Team. Look for her in London in 2012! 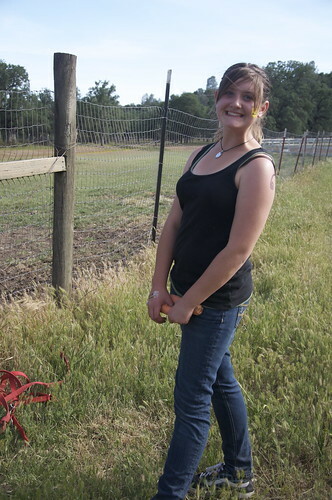 At noon, Cheyanna demonstrated the gaits and special paces of a Peruvian Paso horse. Her dress was traditional, as was her horse Vistosa’s tack. This was a special opportunity to see a breed of horse that is relatively unchanged from the bloodstock introduced into Peru by the Spanish and which has remained pure for the centuries since then. Conquistadors would recognize a face like this one from Clearlake’s Rancho Del Lago Peruvian Paso breeding and training facility. At 12:30, we had a special cross-cultural treat. 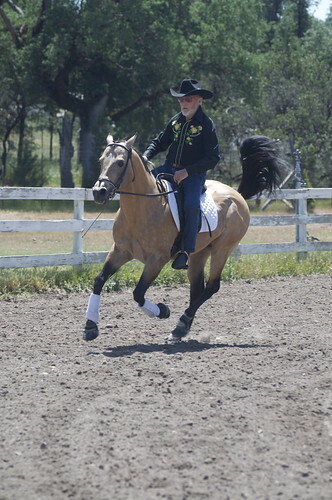 It was a demonstration of traditional Dressage movements. But instead of a rider in prissy English gear, we had Cowboy Dave on his buckskin horse, Ryder. Ryder was a big hit when the kids realized he was the same color as Disney’s Spirit. 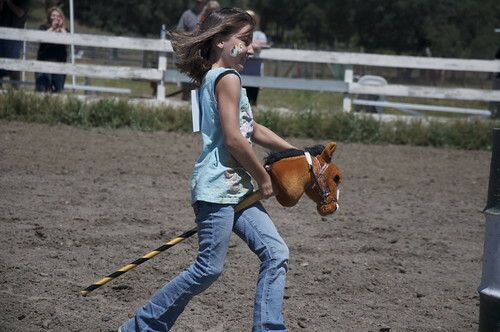 At 1:00, Aria and her horse Queen’s Crush (QC) demonstrated the fast-paced Western technique of Pole Bending and Barrel Racing. And I challenge ANY rodeo to come up with better looking cowgirls than we had! The next event proved to be one of the biggest crowd pleasers. 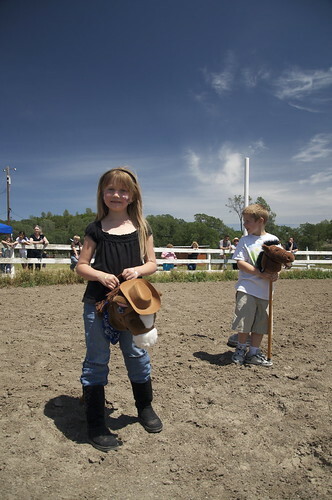 It was a chance for the kids in the audience to participate in some cowboy action with a Hobby Horse Race. These kids were serious competitors, but took time out, each and every one of them, to name their mounts before their race. Can you guess some of the names the girls gave to their “horses”? I remember Crystal, Rainbow, Star, Sparkle. . . The boys? 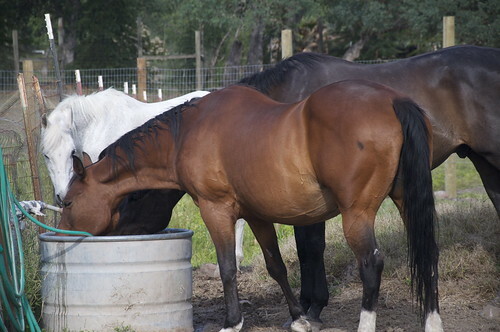 I think most of the boys named their “horses” after Mighty Morphin Power Rangers. Didn’t help much. The girls won more of the races. A buckerette mounts up. I think her horse was Sparkle. Fierce competition proceeded in groups of two. Races were so fast-paced, it was good we had judges with stop watches. This isn’t official, but I seem to remember more girls winning than boys. 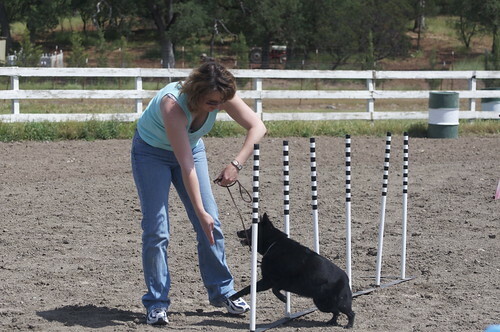 The next demonstration, at 2 PM, was our most technical one: Round Pen Training. But, because the horse being put through its paces was a beautiful Paint, and perhaps because the trainer wore such a sparkly shirt, this was a big favorite with the little buckeroos. 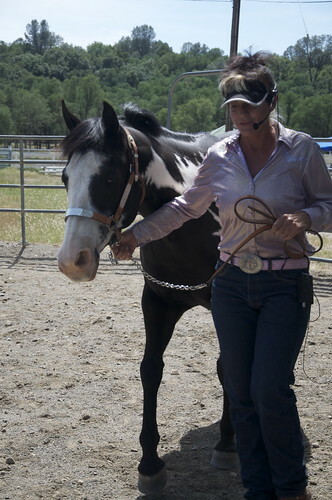 A technical demo in how to train a horse. 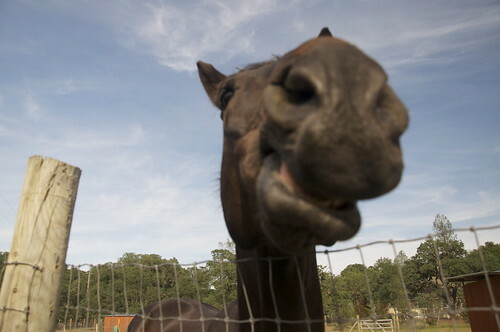 Provided your horse is as smart as this one. And we wrapped it up with a sure-fire can’t miss event. What’s better than horses? How about dogs! 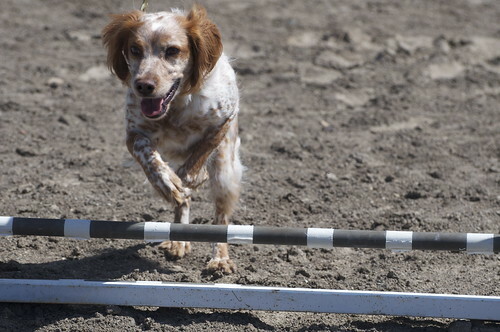 A local agility training group brought some of their well-trained canines out for some circus-level tricks. Then they opened the arena to audience member dogs and let them practice being stars. This agile guy demonstrated Pole Bending, canine style. Hey, horses aren’t the only ones who can take these jumps! Now that’s just the MC’d events. How about the barbecue? 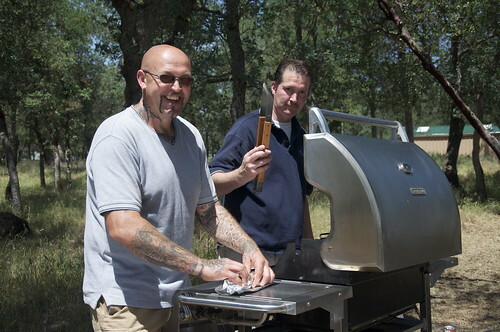 Our Barbecue Boys slaving over a hot grill. 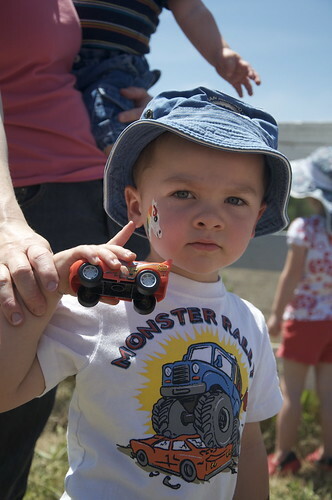 Face painting is always a hit. 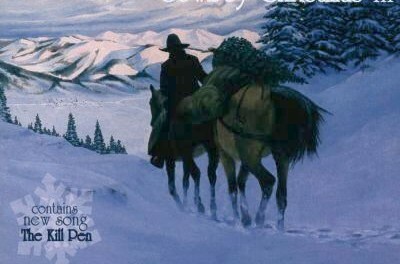 Especially when you’ve found talented teenagers who can paint great horse portraits. Painting doesn’t have to be on your face. But it should be sparkly! 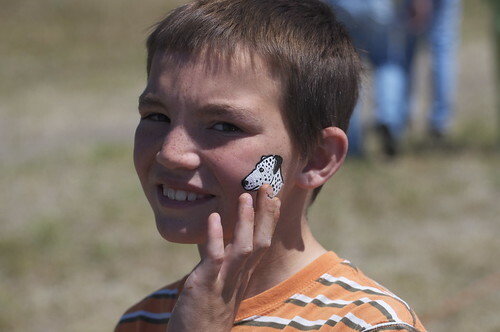 And just because it’s Horse-O-Rama, you don’t have to get a horse painting. 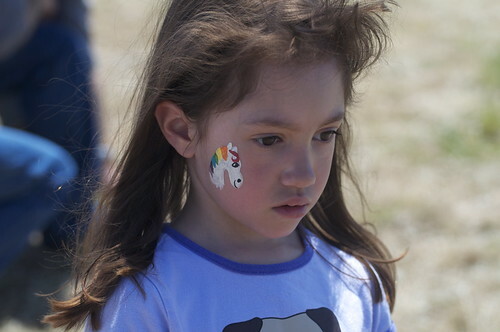 A rainbow pony is always chic. But at least one little buckeroo was looking for a different kind of horsepower! 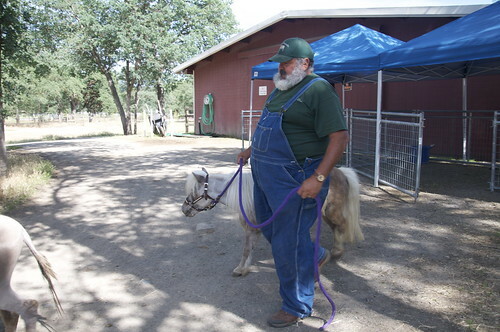 And what do you think of a Petting Zoo filled with wonderful, friendly miniature animals? They came courtesy of Mel and Mary Jane and their fabulous Oops Ranch in Kelseyville. 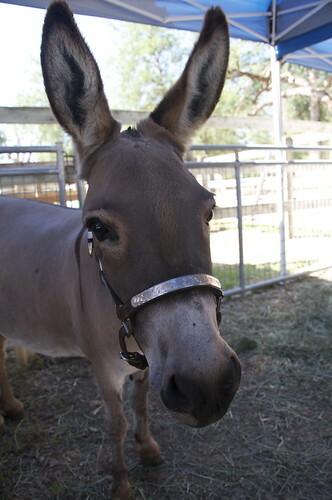 This is Bella, a miniature Sicilian Donkey. 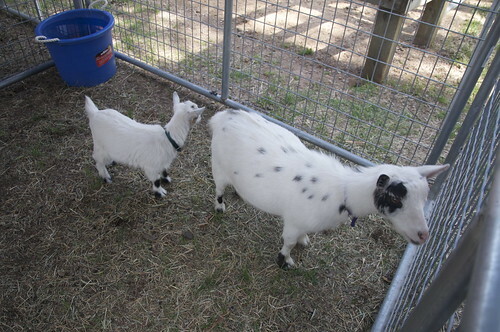 Victoria and her baby Limerick were two of the three Nigerian Dwarf goats in attendance. However, I was able to be of some small use in an after-event incident. Seems the resident horses felt that they didn’t get enough participation in the fun, so two of them picked the lock on their gate and escaped. 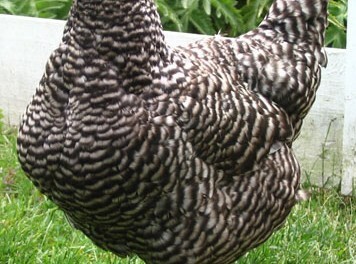 Luckily, we had a plucky teen, Georgiana, who took off with me to recapture the escapees. Except, I had to turn back and close the gate before the third horse, who was charging after his comrades, got out to freedom. That left Georgiana chasing horses across the adjacent golf course and residents’ lawns, while I grabbed Mom and the truck and some halters and made a quick pursuit. 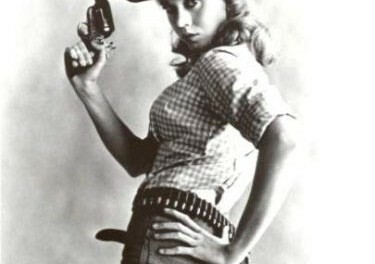 Our Cowgirl Heroine who nabbed the jailbreaking horses. 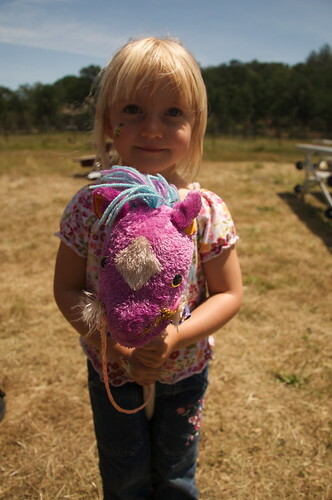 In the end, the fugitives were recaptured and Horse-o-Rama was branded a resounding success. Now you need to watch this site for the next event. I have it on good authority, it might be coming up around Fourth of July. 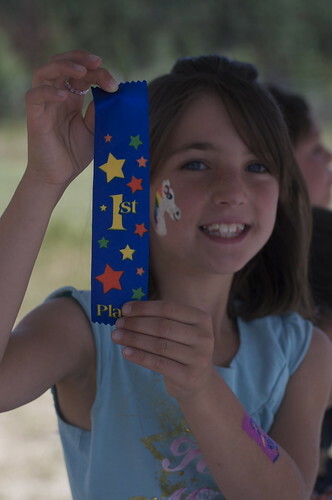 Isn’t is awesome that events like the Horse-O-Rama exist and are enjoyed by kids and adults alike and no computer or electronic devices are involved- well, except for your microphone…well done! Funny you should mention that. I don’t remember seeing single cell phone all day. And the kids were grabbing sticks and hobby horses and playing “cowboy” all around the place. Just like in the “olden days” of the Sixties. There are so many choices out there that I’m totally overwhelmed .. Any ideas? Thanks! in top of the list. Normally the top sites are full of garbage.